Stefania Farace is PhD Candidate in Marketing at Maastricht University, The Netherlands. Her research interests are in the areas of Consumer Behavior, with a special focus on the analysis of pictures (e.g., user-generated content, advertising, Twitter posts) and their impact on visual persuasion and consumer evaluations. 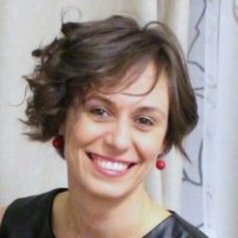 Stefania holds a Research Master in Marketing from the University of Groningen (The Netherlands) and has been Visiting Scholar at Babson College (Boston, USA).